With big city fun, miles of sandy beaches, and incredible mountains, Georgia is an excellent destination for any RV road trip. With good weather year-round, especially during the winter months when much of the North is getting blasted with snow and extreme cold, Georgia has a lot of things to offer travelers. Take a ghost tour in historic Savannah or catch a baseball game in Atlanta. The Appalachian Trail runs 78.6 miles from Springer Mountain to the South Carolina border so there is miles and miles of excellent hiking trails perfect when the fall foliage is at its brightest. 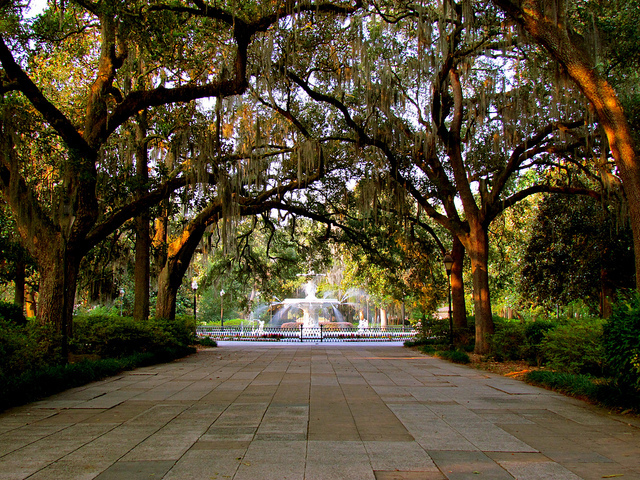 Savannah, Georgia is one of the most charming and quintessential southern city with centuries of history just oozing into the streets. Known as one of the “World’s 30 Friendliest Cities” by Conde Nast Traveler, Savannah is an excellent destination if you love history, art, architecture, and delicious southern cuisine. Ghost tours run abundant as Savannah is often called “America’s most haunted city.” With some many incredibly restored pre-Civil War era mansions, you’ll want to take a tour of the Mercer-Williams House. Girl Scout fans will want to visit the Juliette Gordon Low House where the Girl Scouts of America was born. With tons of new restaurants, you can’t go wrong with any of your choices, but you don’t want to miss the Cotton & Rye, Pacci Italian Kitchen + Bar, and The Wyld Dock Bar. The Red Gate Campground is “your oasis of southern charm.” It’s the closest RV park to historic Savannah and has several fishing ponds, nature trails, horseback riding, and a salt water swimming pool. RV sites are large and grassy and have full hookups. The Sunshine RV Park, just eight miles from Savannah is another great option. Jekyll Island is popular with the locals and the tourists from all over the world. Escape big city life and enjoy the beautiful blend of serenity and solitude. Located within the small island chain of the Golden Isles, Jekyll Island is a coastal state park where both nature and humans can coexist peacefully. Enjoy the beautiful sandy beaches, incredible bird watching, and tons of biking trails. If you like sea turtles then you’ll want to visit the Georgia Sea Turtle Center to learn more about this majestic creatures and see rehabilitation in action. 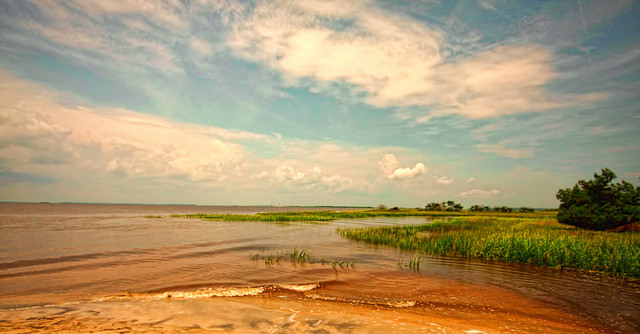 The Jekyll Island Campground is the only place you need to stay on Jekyll Island. 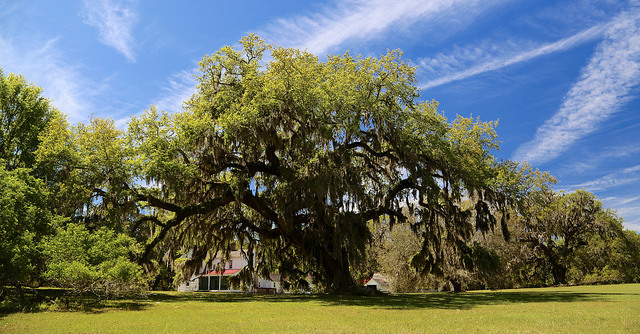 With 142 RV sites will full hookups among the oaks covered in Spanish Moss, you’ll absolutely love your stay here. The RV park is just a short walk from both Clam Creek and Driftwood Beach. Georgia’s Antebellum Trail is a 100-mile self-guided and self-paced trek through seven historic communities that escaped Sherman’s burning march through the state of Georgia during the Civil War. Depending on how much you love architecture and history, this unique trek can last for three to five days. Start in the city of Athens where you can visit small art galleries and boutique shops before spending the afternoon at the 313-acre State Botanical Garden of Georgia. 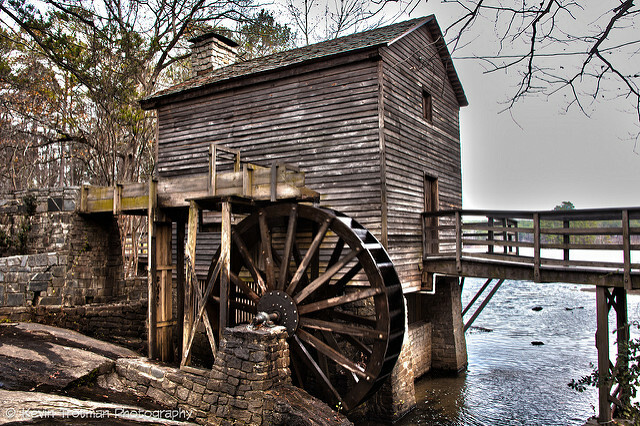 Wind your way through other historic towns like Watkinsville, Madison, Eatonton, and finally down to Macon. Macon is home to tons of great museums, like the Tubman African American Museum and the Museum of Arts & Sciences. The Scenic Mountain RV Park & Campground in Milledgeville is a 112-acre hidden gem just south of historic downtown Milledgeville. The RV park has 60 full hookup RV sites with a swimming pool, fenced dog run, fire pits, and tons of nearby hiking trails. The Safe Haven RV Park in Macon is a cute little RV park with great amenities that were recently renovated. 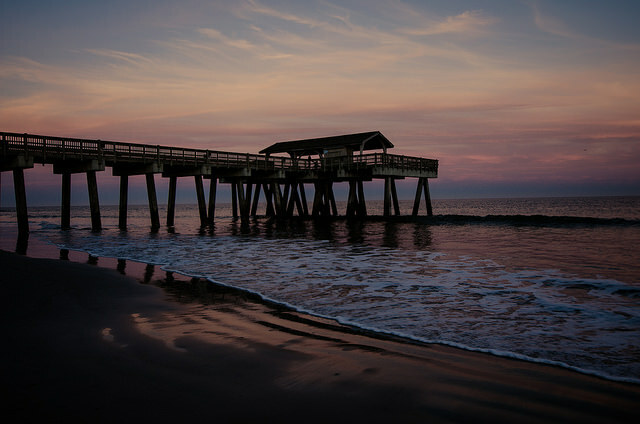 Just down the street from historic and haunted Savannah, Tybee Beach is the ultimate summer vacation spot. With tons of great family-friendly beaches, lighthouses, and historic forts and buildings, there is a lot to do on this small island in the Atlantic Ocean. Start your morning by watching the sunrise from the Tybee Pier followed by exploring Tybee Island Light Station that was built in 1736. If you love fresh seafood then you’ll find plenty of it here in the local restaurants or grab a fishing rod and catch your own dinner. River’s End Campground is just a few short blocks from the beach and the perfect place to park your RV while you enjoy both Tybee Island and Savannah. Home to Tybee Island’s largest swimming pool and other great amenities, you’ll love your stay here. With full hookup RV sites, you’ll be able to fit anything from a small campervan to a large RV. Check out our list of 10 best RV parks for more great options. Stone Mountain Park is one of Georgia’s most popular attractions and is a favorite with families. Located on 3,200 acres of land, Stone Mountain Park is open year-round with tons of incredible family-friendly activities. Kids will love the “Dinosaur Explore” exhibitions that runs through November. The Summit Skyride is a great way to get stunning views of the Atlanta skyline and the Appalachian Mountains. Check out the fancy goats willing to do tricks for food in the Farmyard. And there is always some big event or festival happing in the park so check the events calendar before you go. Rated as Georgia’s top campground by Woodall’s, Stone Mountain Campground has 427 campsites – 208 will full hookups for RVs and another 155 with partial hookups. There is a large swimming pool, sand volleyball court, playgrounds, and free WiFi and cable TV. Atlanta is one of the best places to start or end your Georgia RV trip with kids. 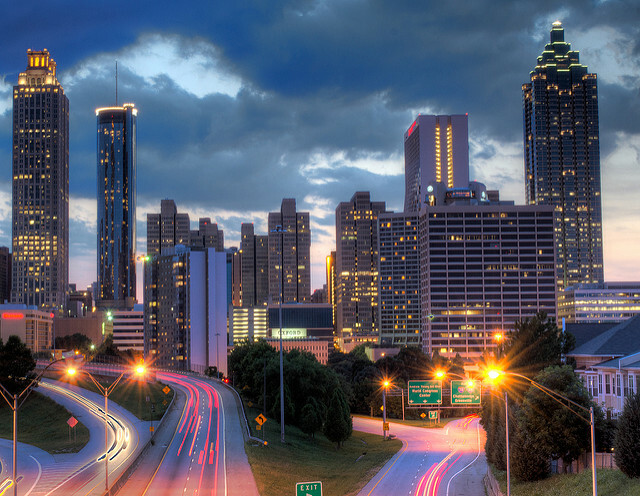 With a large international airport and hundreds of fun and exciting activities, you don’t want to miss the big city life in Atlanta. Catch a Braves game at the new SunTrust Park or spend a day at the famous Atlanta Aquarium. Atlanta has a ton of great museums ranging from the High Museum of Art to the Fernbank Museum of Natural History or the Margaret Mitchell House. Of course, you don’t want to miss the nightlife either! 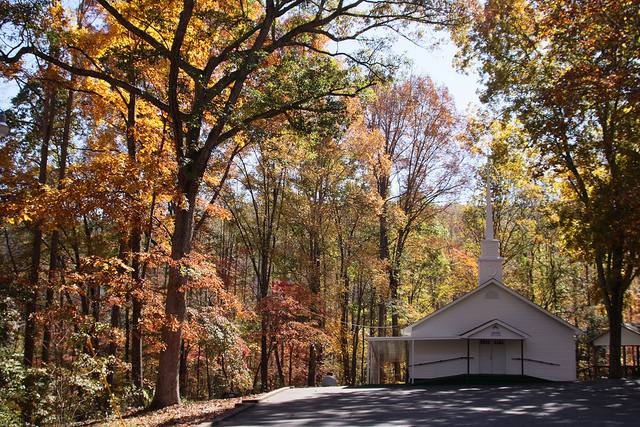 Atlanta South RV Resort in McDonogh is just 30 minutes from downtown Atlanta. With 140 sites with full hookups, this is an awesome RV resort to park your rig if you want to head into the city. There is a swimming pool, playground, and a recreation room. 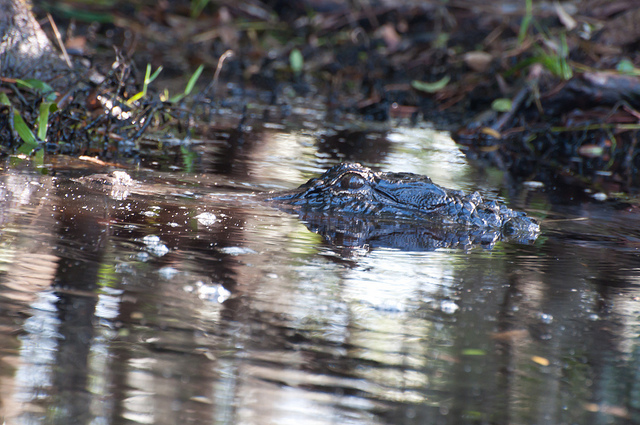 Okefenokee National Wildlife Refuge, part of the Suwannee and St. Marys Rivers, provides a habitat for threatened and endangered species to hundreds of bird, amphibian, and plant species. Encompassing 353, 981 acres, the Okefenokee National Wildlife Refuge is one of the world’s largest intact freshwater ecosystems. There are three major entrances to the refuge with the Suwannee Canal Recreation Area being the most popular. Here you can hike the upland trails, visit the Chesser Island Homestead, and take a boat tour through the wetlands to spot wildlife. The Okefenokee RV Park in Homeland has 50 full hookup sites with a community hall and a rec room. It’s just five minutes from the Florida border and 45 minutes from the Georgia/Florida beaches. The RV park offers both Good Sam and military discounts. Check out other nearby places to park your RV, too. Did you know that the Blue Ridge Mountains extend all the way down to Georgia? Blue Ridge is Georgia’s favorite little mountain town surrounded by the Chattahoochee National Forest. This beautiful region of Georgia has lots of outdoor adventures for the whole family. From whitewater rafting on the Ocoee River to kayaking on the tranquil Lake Blue Ridge to hiking the many mountain trails, there is plenty to keep you busy for weeks on end. Blue Ridge is also the “Trout Fishing Capital of Georgia” so don’t forget your fishing gear. Just five minutes from historic Blue Ridge, the Blue Ridge Lodge and RV Park has RV sites with full hookups and free WiFi at a reasonable daily rate. The park is pet-friendly and the lake with excellent fishing and boating is just a few minutes away on foot. The Tocca Valley Campground has RV sites with full hookup in quiet, shaded spots. 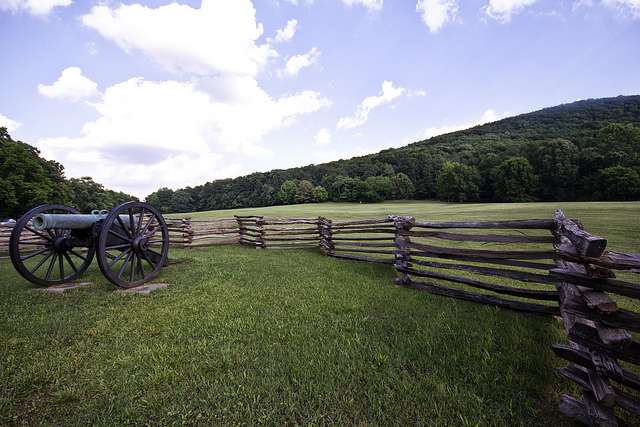 The Kennesaw Mountain National Battlefield Park is a 2,965-acre National Battlefield that preserves one of the greatest Civil War battlefields in the Atlanta Campaign. During the weekdays, you can drive to the top of the mountain for great views of the region. Bring a picnic and discover over 22 miles of interpretive trails. The park is excellent for birdwatching. For more information on the battle, head to the Visitor Center to watch the 35-minute movie on the Atlanta Campaign and Battle of Kennesaw. The Atlanta Marietta RV Resort is a peaceful and beautiful RV park in Marietta. Each site as full hookups, free WiFi and 70 channels of cable TV. The sites are paved with small patios and there is a seasonal swimming pool. 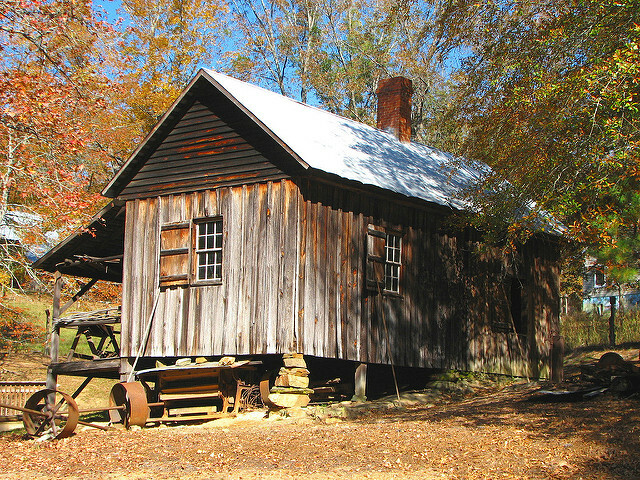 Located in Juliette, the Jarrell Plantation State Historic Site is one of the last authentic 19th-century plantation buildings left in Middle Georgia. Built in 1847 by John Fitz Jarrell, the plantation survived General Sherman’s “March to the Sea” and other natural disasters over the years. The plantation is home to a museum, gift shop, and animal farm. Spend the day discovering what it was like to live in the 19th century and enjoy the hiking trails on the property. The L&D RV Park in Forsyth is a year-round campground with affordable prices and all the modern amenities you need. Highfalls RV Park & Campground in Jackson is another year-round RV park offering both pull-thru and back-in sites with full hookups. With a rich history, beautiful natural landscape, and tons of great RV parks, Georgia has a lot to offer RVers. Our Georgia RV trip planner is full of helpful advice that we know you’ll use on your next RV adventure. Don’t forget to let us know how your Georgia RV road trip went!